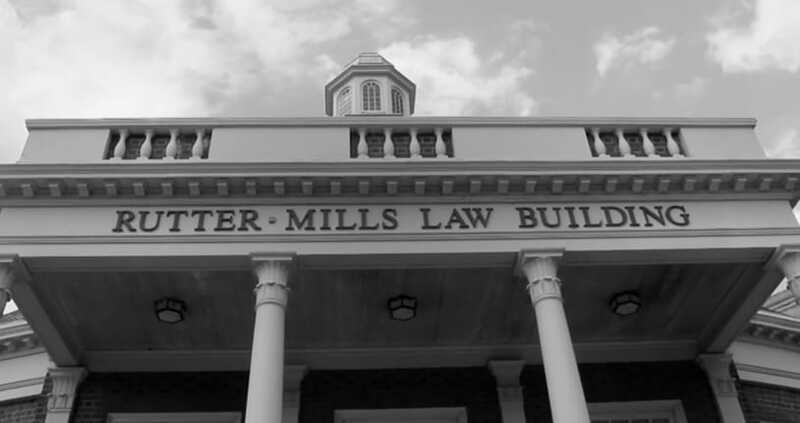 For over 50 years, Rutter Mills has been one of Virginia’s leading personal injury law firms. We have secured millions of dollars in settlements, sometimes in precedent-setting cases, and helped thousands restore their lives after serious injuries. With offices in Norfolk, Newport News and in the western part of the state, we are strategically positioned to benefit our local communities with skilled and time-tested legal muscle. When there’s a lot on the line, and you need a trusted Virginia personal injury lawyer, call Rutter Mills. Victims of car accidents, defective products, malpractice and workplace injuries often experience waves of misfortune that threaten to undermine the quality of their lives. Rutter Mills attorneys are committed to protecting the interests of those who are harmed by the reckless and negligent conduct of others. We are here for you in your time of need, providing compassionate guidance and aggressive advocacy in a wide range of personal injury matters. Our top-rated attorneys take the time to get to know each client, their story, their goals and their concerns. When you call our offices, we will explain your legal rights and how your claim would be handled if you retain our services. Rutter Mills is renowned in Virginia as a powerful, results-driven law firm, and deep-pocketed defendants know that we have a proven track record of landmark settlements courtroom victories. If we are not able to secure a fair settlement on your behalf, we are always prepared to take a case to trial. Contact Rutter Mills for a free evaluation of your personal injury claim and put our discipline, experience and dedication to work for you. Rutter Mills has earned numerous legal accolades and recognitions such as Top 100 Trial Lawyers, the Million Dollar Advocates Forum and Super Lawyers of America. Our personal injury attorneys are active in their communities and take great pride in helping injured individuals and their families on their path to recovery. When you are suffering physical, financial and emotional hardships caused by serious injury, you need a legal advocate who truly cares about your well-being. The tireless pursuit of justice is our passion, and we consider it a privilege to advocate for those who suffered through no fault of their own. Our carefully curated team of attorneys is confident, knowledgeable, enthusiastic, driven and professional. If you are in need of a reputable Virginia personal injury attorney who regularly litigates complex cases against insurance companies, corporations and governmental agencies, reach out to Rutter Mills to arrange a private consultation. Many accident victims attempt to settle their claims themselves, until they ultimately become frustrated and overwhelmed by the lack of cooperation from the insurance company. The truth of the matter is that a personal injury lawyer can help victims throughout the claims process. The second you are involved in a serious accident, the insurance company switches from being at your side to the opposition – looking out for their best interest, and their bottom line. When you are in an accident, an attorney plays the advocate roll and helps level the playing field against a well-funded defense of the insurance company. While a lawyer will do many things for you throughout your case, none may be more important than letting the insurance companies know that they can’t push you around and that your claim must be taken seriously. Rutter Mills examines every legal angle when determining the best strategy for our clients. We are comprehensive in case preparation and enlist experts from our network of industry professionals whose testimony can bolster your claim for damages. We have the investigative resources to prove the full extent of your pain and suffering and economic losses, which can be used to increase your monetary recovery. Personal injury litigation can help victims secure money for past, current and anticipated damages — financial burdens that can quickly overwhelm when the breadwinner is unable to work. When accidents involve catastrophic injury such as spinal cord trauma, traumatic brain injury or paralysis, families are at heightened risk for bankruptcy, as hospital bills pile up. Our experienced lawyers know how to maximize the value of your personal injury claim and fight for the monetary compensation you deserve. Attorneys at Rutter Mills hold the highest ratings for professionalism, ethics and legal achievements. Our veteran trial attorneys relish the opportunity to argue before a jury, and have consistently won challenging personal injury cases in Virginia state and federal courts. We operate on a contingency-fee basis and only get paid if we prevail in your case.There are strict time limits for filing a personal injury claim in Virginia. Don’t jeopardize your rights to compensation; call our Newport News or Norfolk law offices today and speak with an experienced Virginia personal injury lawyer today.